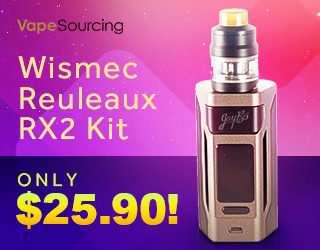 Here’s another killer deal that I found in the clearance section over at VaporDNA. 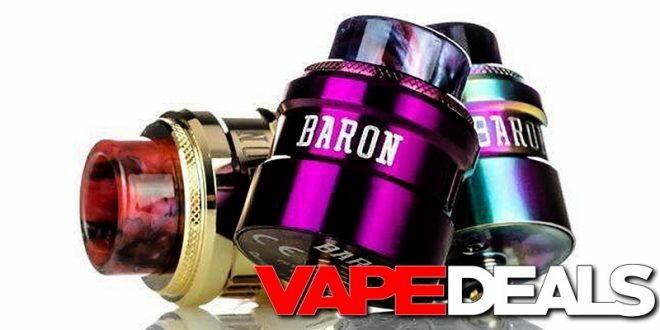 They recently dropped the price of the Geekvape Baron RDA down to $12.99. Plus, you can always get an extra 10% off your order when you apply coupon code “DNA10” at checkout. Grand Total: only $11.70! They still have all 7 colorways in stock too: black, blue, gold, gunmetal, purple, rainbow, and stainless steel. Every order includes a free VaporDNA Vape Cloth; shipping is free if you spend $59 or more.